"This is a copy of God’s ship. It only makes sense to take it to God’s land," says builder of the Ark of Noah, Johan Huibers. Can this life-size replica reach the Holy Land? A full-size replica of Noah’s Ark may soon set sail from The Netherlands to the Holy Land. The designer of the ark, 60-year-old Dutch Christian Johan Huibers, this month vowed to take the massive boat to Israel. The Ark of Noah – often dubbed “Johan’s Ark” – is one of three full-scale replicas of the Noah’s Ark across the world, with one in Hong Kong and another in Kentucky in the United States. However, Huibers’ ark is the only one that actually floats. Huibers had intended to the take the boat to Israel soon after it was built, but bushfires there derailed his plans. The coming proposed journey to the Holy Land poses significant nautical challenges. The ark has no motor, so requires tug boats to tow it. This is a significant feat as the boat weighs more than 2500 tonnes. To get to Israel, Huibers will need to raise around $1.3 million for tugboat hire, according to the JTA report. The idea to build an ark came to Huibers after a dream in which his low-lying home country, the Netherlands, was flooded. 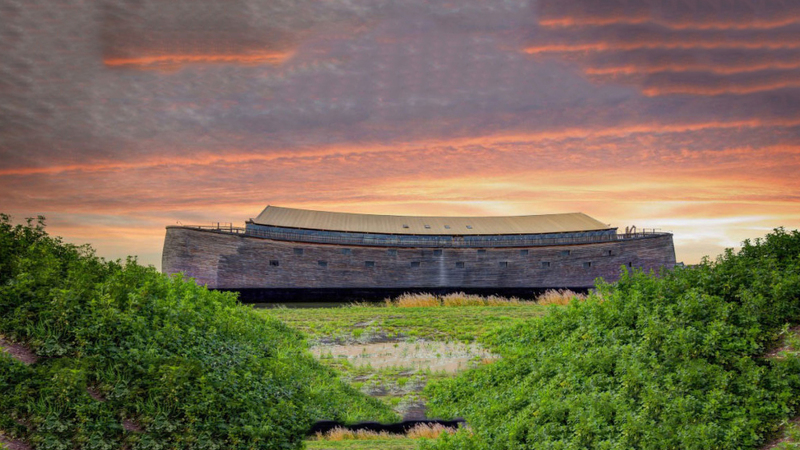 While his ark was not intended as a lifesaving device, Huibers (a carpenter by trade) was inspired to build a boat according to the specifications in Genesis 6 which Noah used. After converting the measurements to modern equivalents, Huibers’ ark is a fraction smaller than the original – at 130 metres long, 29 metres across and 23 metres high. 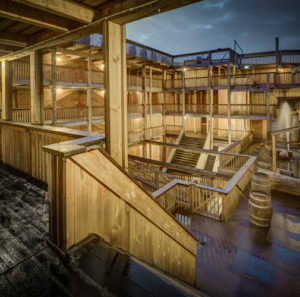 Huibers’ ark was built using as much of the original materials as possible, as well as a mixture of steel frames and American cedar and pine. It took five years to build and cost $5 million. Since its completion in 2012, the ark has been entertaining passengers with trips along the Meuse River in the Netherlands. It has been visited by thousands of tourists, with the boat housing a menagerie of fake animals, historical displays and a 50-seat theatre. The ark is currently closed to the public for some “adjustments” due to safety concerns. In a somewhat terrifying confession, Huibers told JTA that some of the uniqueness of his ark stems from those who helped him build it had no training. Despite this, Huibers is fully confident that his ark is safe, insured and watertight. As he prepares for a future journey to Israel, let’s trust that his faith – like Noah’s – is placed in the right hands.